The Miniature Clip is a specially-designed clip for quick and easy chest mounting of our d:screet™ 4660 Series Heavy Duty Miniature Microphones. 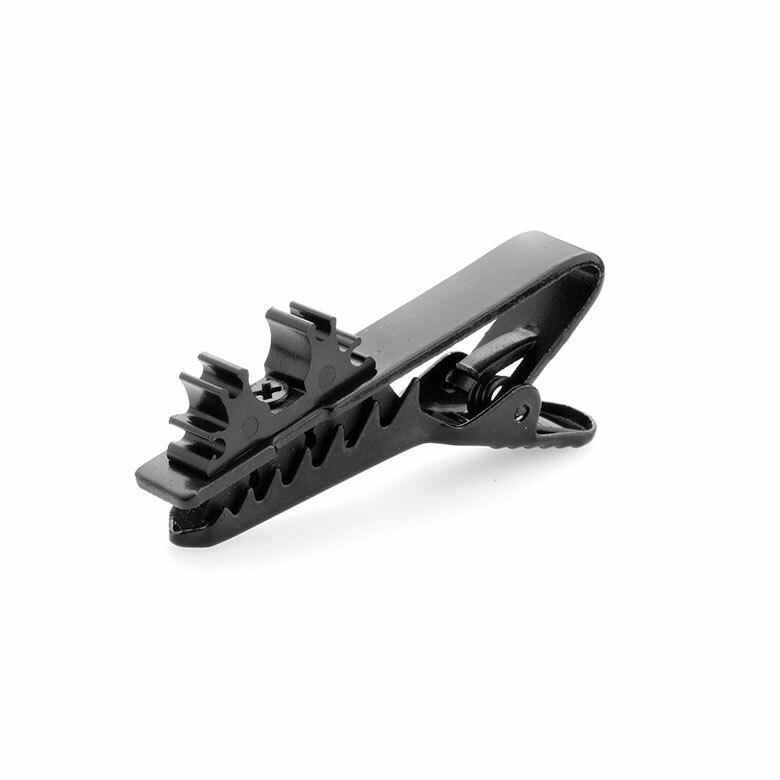 The length of the clip ensures stable mounting even on thin clothing. The rubber piece inside the clip is for holding a short cable loop, which will increase the systems immunity to cable noises. The d:screet™ 4660 Series Heavy Duty Miniature Microphone can be mounted in three different ways using the Miniature Clip. The holder replaces the DMM0001, which does not fit the d:screet™ Heavy Duty Miniature Microphone or the reinforced d:screet™ Omnidirectional Microphones.